This is the first clear cut sign that a base OnePlus 6 model with 6 GB RAM and 64 GB of internal storage exists. It’s another day, and it’s another OnePlus 6 leak. But today’s leak may not exactly be good news for OnePlus fans. According to Slashleaks, a smartphone tagged as the A6000 has shown up on Chinese certification website TENAA. The source states that this is the OnePlus 6 and could indeed be the first piece of evidence hinting that 6 GB RAM variant actually exists. OnePlus has been advertising an 8 GB RAM model with 256 GB storage and even previous leaks have always hinted at 8 GB of RAM for all models even though last year’s OnePlus 5 started off started with base model sporting 6 GB RAM and 64 GB of internal storage. Why is 6 GB of RAM a problem you ask? Since this year’s OnePlus is also expected to feature waterproofing and wireless charging, along with the notched display, the price tags too are expected to go up, with a previous leak hinting at Rs 36,999 base price. Last year’s OnePlus 6 started off from Rs 32,999 for the 6 GB RAM 64 GB model while the top-of-the-line model with 8 GB RAM and 128 GB internal storage sold for Rs 37,999. With OnePlus pricing its base model at Rs 36,999 this year, buyers would be paying a lot more for a lesser RAM and storage as compared to previous iterations of the OnePlus’ flagship. Hopefully, OnePlus has a cart load of new features to make its new smartphone attractive enough for buyers even with its higher pricing. Apart from mention about 6 GB RAM, there were other known details about the OnePlus 6 that were also revealed. 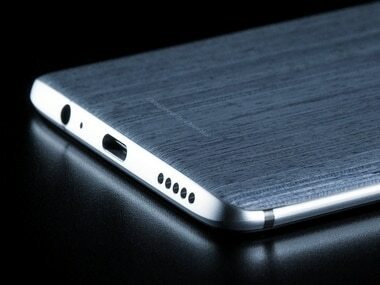 This would include the presence of a 6.28-inch AMOLED display with a resolution of 1080x2280 pixels. Also included would be the expected octa-core SoC clocked at 2.45 GHz (Snapdragon 845) paired with 6 GB RAM and 64 GB of internal storage. As per TENAA, the OnePlus 6 is expected to arrive with a 16 MP selfie camera and a 20 MP + 16 MP rear dual camera setup. Powering the above configuration would be a 3,300 mAh battery with Android 8.1 Oreo running the show. The device is expected to measure 155.7×75.35×7.75 mm and weigh in at 177 grams. The OnePlus 6 model will be launched globally on 16 May and in India and China on 17 May, the smartphone maker has also partnered with Marvel and will also announce a Marvel Avengers Infinity War edition smartphone.